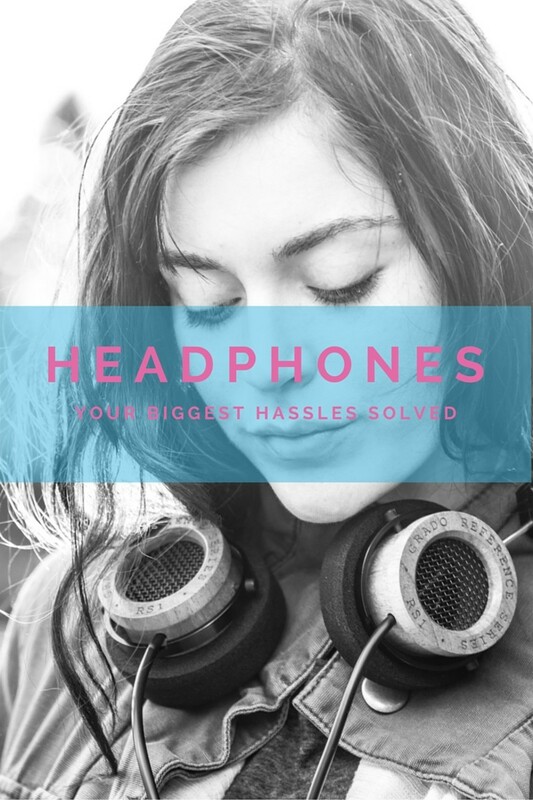 Your Biggest Headphone Hassles - Solved! Are you still using those free headphones that come with your smart phone? Then you&apos;ve probably been putting up with tangled cords, ill-fitting earbuds and mediocre sounds quality. It&apos;s time to upgrade. We&apos;ve gathered some of the latest headphone trends that will solve your woes and bring your tech game up to speed. So you got these really cool Bluetooth headphones....that you can never find buried in your purse. Meet Helix. This fashion-forward, gender-neutral wearable cuff comes in white or black with either silver or champagne gold accents and holds a pair of included Bluetooth-enable earbuds inside. That&apos;s right - no digging, no wondering what pocket you stashed them in, no tangled cords. 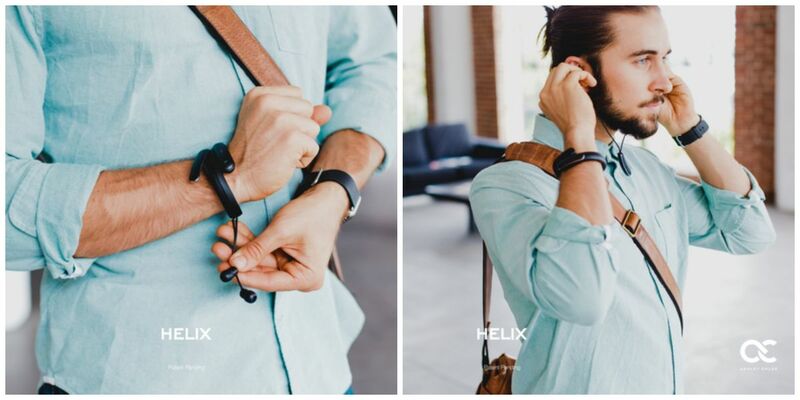 Your earbuds are on your wrist whenever you need them. It happens to me Every. Single. Time. I go to the gym. I pull my earbuds out of my purse, or should I say, the tangled mess that is my earbuds. Honestly - how can they get THAT tangled from just being in my purse pocket? Luckily my woes are over thanks to Tweedz. 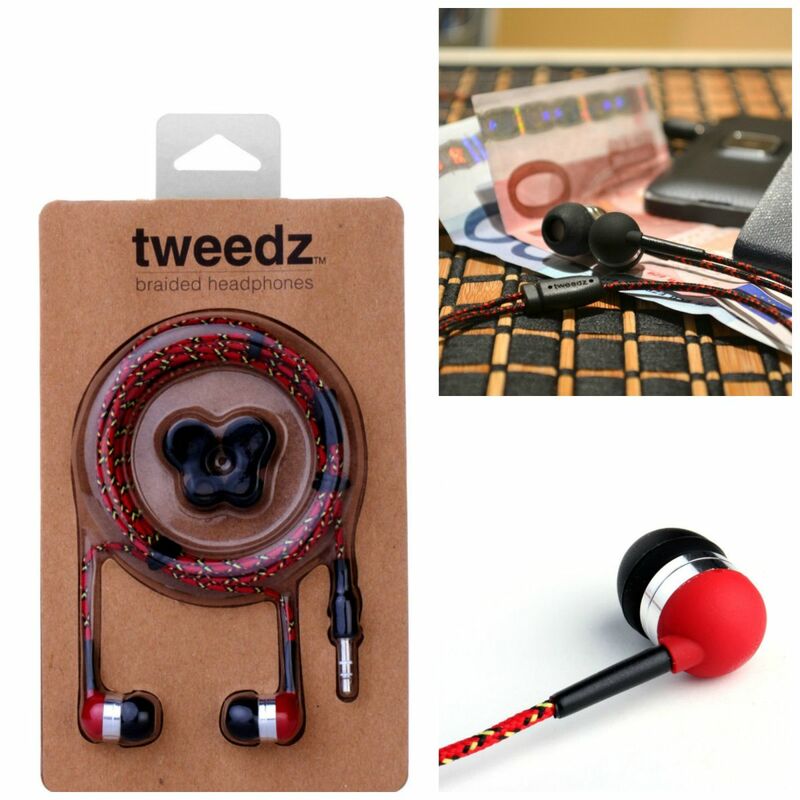 Inspired by vintage guitar cables, Tweedz headphones are covered in 100% nylon fabric which is lightweight and has eliminated any twisting and tangling in my purse. Available in five vibrant color options, I also love that they come with three sizes of silicon earbuds to ensure you can get just the right fit for your tangle-free music listening. Style mavens rejoice! These Bluetooth-enabled bejeweled earbuds look sophisticated, not seventh grade. The The jewel beveled earbuds roll up and store compactly inside the crystal locket so they are always close at hand and make a style statement whether they are in your ears or in the locket. The locket is set to come out in two color - Midnight and Seabreeze. The headphones also boast a mic and 10-hr battery life, but the controls are located on the locket, not the earbuds, so these headphones are best for the subway or office - not the gym. Sign up here to get an email when these headphones are available for purchase. Maybe cords dangling in front of you are just annoying. Or maybe you hate how they ruin a clean view of your killer top you just scored in your latest StitchFix box. Or maybe you&apos;re like me and work at home, balancing work to-dos and toddler booboos all day long. I&apos;ve been writing and editing at home since the first of my three kids was born which means inevitably there have been those times where my little one decided not to take his daily nap right during the conference call I had scheduled during that time. Walking around the house with my son in a baby carrier, and my headphones on, his adorable little hands would reach up and find a fun new game called "Pull Out Mommy&apos;s Earbuds". If only I had had RedFox&apos;s EDGE Wireless Headset! This headset is super lightweight and can be worn over or under your ears - whatever feels best. The headset also has a built-in mic so I can take calls, access Siri and recite an email hands-free. This headset also works just as well on a run, bike or at the gym. In fact, Runner&apos;s World Magazine named them the Best Headphones for Runners.